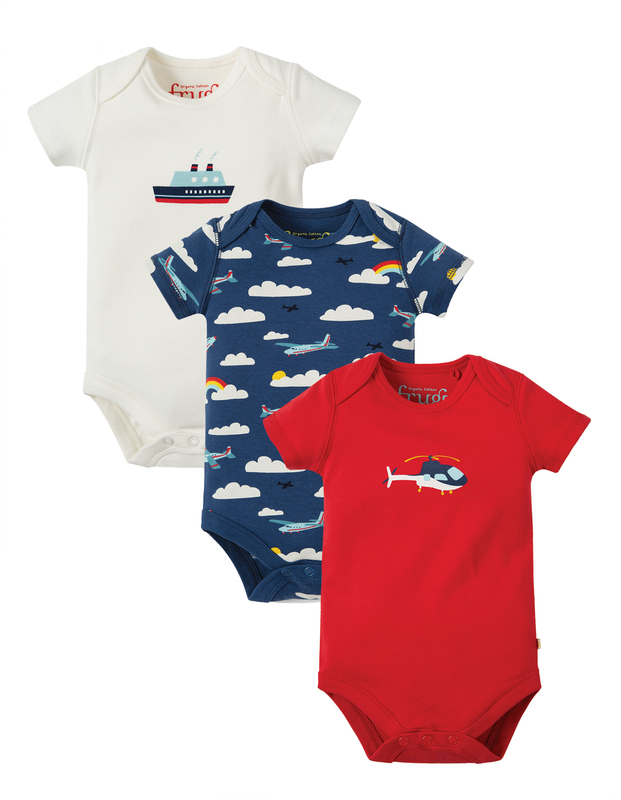 These short-sleeved Super Special 3 Pack Bodies from Frugi are made from 100% organic cotton making them warm, super soft and gentle against babies' skin! 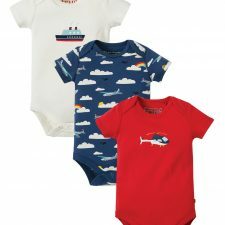 With a fab Marine Blue Fly Away all over print on one of the bodies, a lush Soft White with a Ferry Boat print on another body and a gorgeous Tomato Red with a Helicopter print on the last. 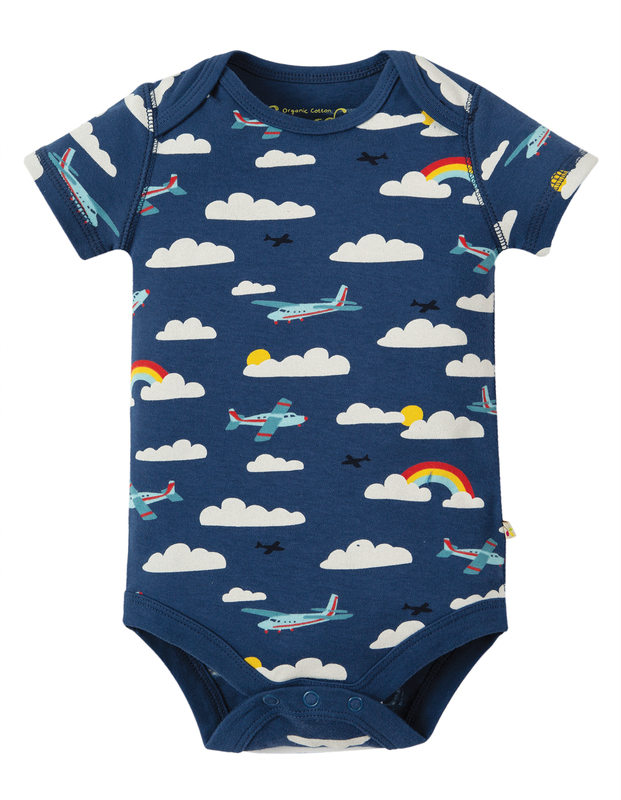 These bodies have popper fastenings underneath and an envelope neckline to help make dressing and changing easier.